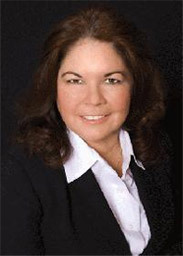 Jaime Ulmer has over fifteen years of experience in real estate sales and marketing. Jaime's expertise and experience working in the Austin real estate market will help guide you to the best property to fit your needs. Jaime understands that each individual client has unique needs. From new homes to active adult communities; from lakefront estates to vacation properties; from ranches to Hill Country vineyards, Jaime’s extensive network throughout Central Texas is one of her greatest assets. Jaime also has a strong background in community development in other states. This experience has proven valuable in the marketing of all types of properties, especially in the residential, investment property, ranch and acreage markets. Jaime can efficiently and successfully assist with your real estate needs, whether you’re a buyer or a seller. She is committed to utilizing every available resource to determine your needs, research your options, and guide you through the complex Central Texas real estate market. Jaime’s experience in the Austin real estate market is varied. When working with a client who is interested in buying a property, Jaime carefully determines their requirements, desires, and budget. Using her network of colleagues and her extensive experience in the Austin real estate market, Jaime will find the best available options to suit your lifestyle. When listing a property for a client, Jaime’s approach is very unique, ranging from straightforward, traditional marketing approaches to cutting edge web marketing and even High Definition videos for web and direct marketing applications. Jaime understands how to capitalize on the most important qualities of a listing to help sell a property as efficiently as possible. Whether you’re buying or selling, you can trust Jaime Ulmer to provide you with the professionalism, integrity, and an in-depth knowledge of the Austin real estate market.